The Ghana Education Service is suspecting spiritual attack following the sudden collapse of female students at New Juaben Senior High School in the Eastern region. Several female students of the school in Koforidua have been rushed to different hospitals over suspected food contamination. 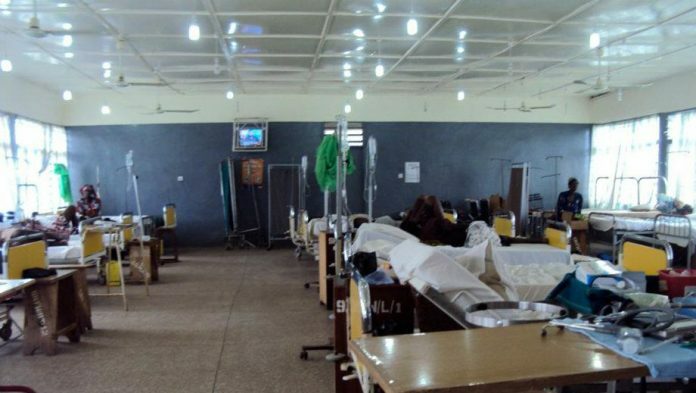 According to Starr News’ Kojo Ansah, some of the students were rushed to the Eastern regional government hospital after the St. Joseph Hospital failed to admit all of them for lack of space. “Some of the students were collapsing, others complained of severe stomach pains, about half of the female students in boarding were rushed to the hospital last night. We don’t actually know the cause but it is believed to be food contamination,” a student told Starr News. According to the students, the incident began on Friday but they were told to pray over it by the authorities until it degenerated on Saturday. Speaking to Starr News, the Eastern regional PRO of GES, Emmanuel Acheampong, parried the food contamination claims, arguing it may be psychological. He said even though the GES is awaiting official medical report, its preliminary investigation culled from briefing given by School authorities indicates that, the affected students who were rushed to the hospital were possessed spiritually after a fellowship on campus Sunday Evening. “It is believed that it is a psychological thing so it hasn’t been that it is food poisoning or an outbreak or something. We have done the counselling and everyone is in school having normal classes [and] a few of them that were rushed to the hospital are stable now and they will join their friends soon to learn,” Acheampong said. He added: “So it isn’t that there is an outbreak of disease or food poisoning but it’s psychological that could have risen out of fear or panic or what they have seen or something and that is a similar thing that happened so we worked on it if it was food poisoning the boys would have been affected as well, but this is just the girls so it can’t be food poisoning”. Meanwhile, the headmaster of New Juaben SHS, Frank Obeng Wilson has dismissed reports of food poisoning assuring parents that the situation is under control. Mr. Wilson added that out of the 14 students who were rushed to the hospital 10 have been treated and discharged.